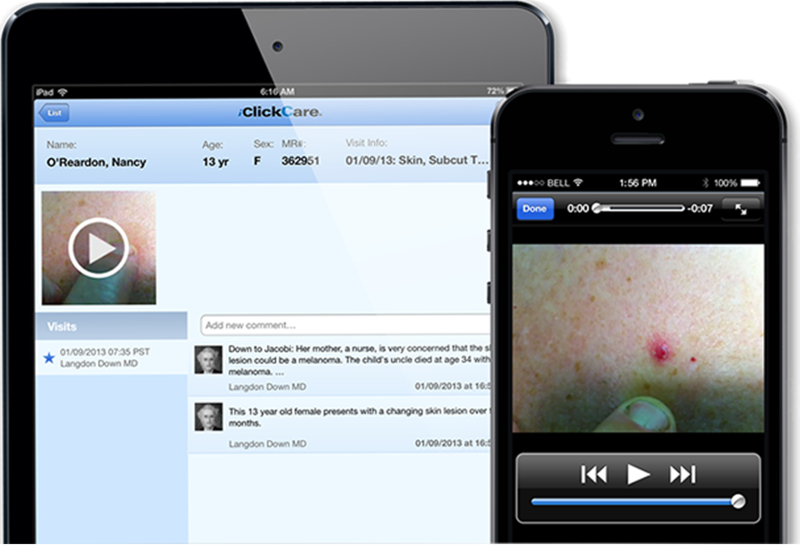 For a planning collaboration with the pathologist, a video clip was taken of a suspicious lesion on this 13 year old using the iClickCare Secure Camera Roll. Good capillary refill could be clearly viewed by the pathologist. Both professionals agreed that a biopsy was not necessary at the time. Unnecessary surgery was avoided, and office follow-up was planned for the patient.